Special funds to promote mergers and acquisitions within the steel industry are being considered by Chinese policymakers to enhance the overall competitiveness of the sector, according to a report in Economic Information Daily. Aimed at boosting the industrial upgrades via promoting M&As in the steel sector, such funds will help big industry players gain larger market share to generate scale benefits, lower production costs and help the sector to better cope with external pressures, experts said. The combined market share of the 10 largest steel enterprises in China was 37 percent in 2017, while crude steel production of the largest enterprises in South Korea and Japan took up 55 and 43 percent of their country's total crude steel production, according to the Lange Steel Information Research Center. "Improving industry concentration is necessary for the further development of the Chinese steel industry as the overcapacity cuts have proved beneficial," said Li Xinchuang, president of the China Metallurgical Industry Planning & Research Institute. According to Li, such funds will help the government to achieve its desired goals and also boost the development of private enterprises. Wang Guoqing, research director at Lange Steel Information Research Center, said that these funds will enhance the quality of M&As in the industry, optimize industry structure and improve corporate profitability. China accounts for nearly half of the world's annual steel production but its development has been hampered by cutthroat competition and structural imbalances due to low industry concentration. 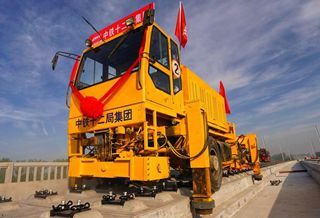 The goal for policymakers in the last few years has been to rid the industry of its excess overcapacity and structural optimization, Wang said. A guideline in late 2016, issued by the Ministry of Industry and Information Technology, encouraged cross-regional and inter-industrial M&As in steel-related enterprises, be it State-owned or in the private sector, and pointed out that about 60 to 70 percent of the steel production should be concentrated in the top 10 enterprises by 2025. In the past, many M&As in the steel industry were not as successful as expected, because they were initiated under certain circumstances for various reasons, instead of being market-oriented, Wang said. A successful M&A depends on complete integration and adjustment of not only assets and staff members, but also corporate culture, strategies and operations, and thus needs to be driven by market forces, Wang said. M&As empowered by market-oriented funds can better solve the problems in share distribution, effectively clarify rights and obligations, and establish efficient operational mechanisms in new companies, and will be key to higher industry concentration, she said. Li from the China Metallurgical Industry Planning & Research Institute said though market-oriented M&As and development funds will be good measures to boost industry concentration, there remains some difficulties. Steel enterprises fall into different ownership categories, including being State-owned, privately owned, and collectively owned, are regulated in different administrative regions, and have varied existing issues such as debt and staff deployment compensation requirements, which means they need to overcome a myriad of obstacles rising from such complicated situations to have M&As, Li said. He said innovation and efforts from all parties involved to improve industry concentration are necessary as the overcapacity cuts have injected vigor into the industry. The country removed 120 million metric tons of steel overcapacity from 2016 to 2017, going far beyond the annual goals. It has removed 80 percent of the 30 million tons of steel overcapacity it planned to remove in 2018, according to Zhao Chenxin, head of the economic operation bureau of the National Development and Reform Commission, according to media reports.